I got this knife a while ago and am now ready to review it. I got it directly from China and the package arrived in ~3 weeks. The Sanrenmu 7046 arrived in a Sanrenmu branded plain paper box, nothing fancy there. The condition out of the box is near perfect - no blade play, blade dead centered, very smooth action (Sebenza like) on bronze washers and hair shaving sharp. 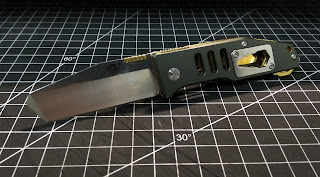 - The Sanrenmu quality and QC - this knife feels better than many other knives in the category and even higher priced ones. Really have to try it to appreciate. - The original design from Liang Gang and the looks. Great job LG! - The action and the smoothness. - The extra features such as a wrench, bottle opener and the glass breaker in the end of the handle. 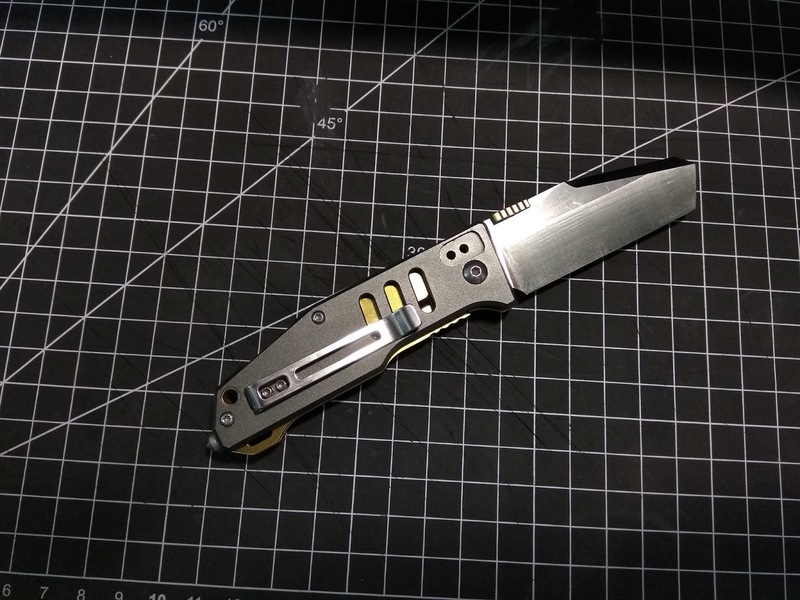 - Materials for the price - 8Cr13MoV steel that keeps a good edge and aluminum handle. 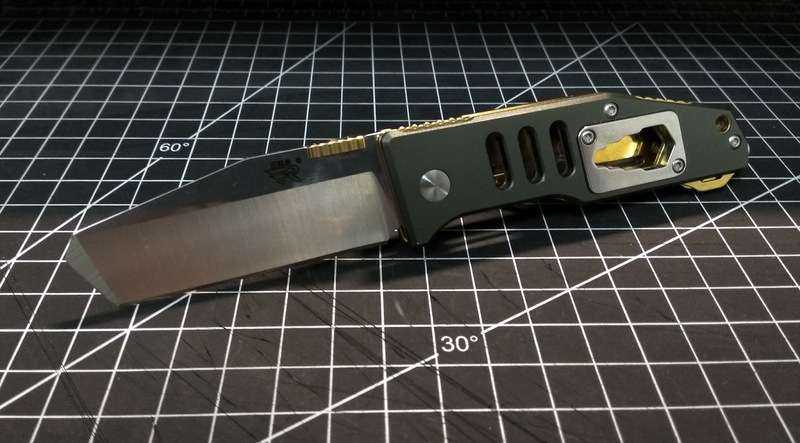 - The fact that it could serve as a Poor Man's version of the Graham Razel. - The price, especially considering the quality. 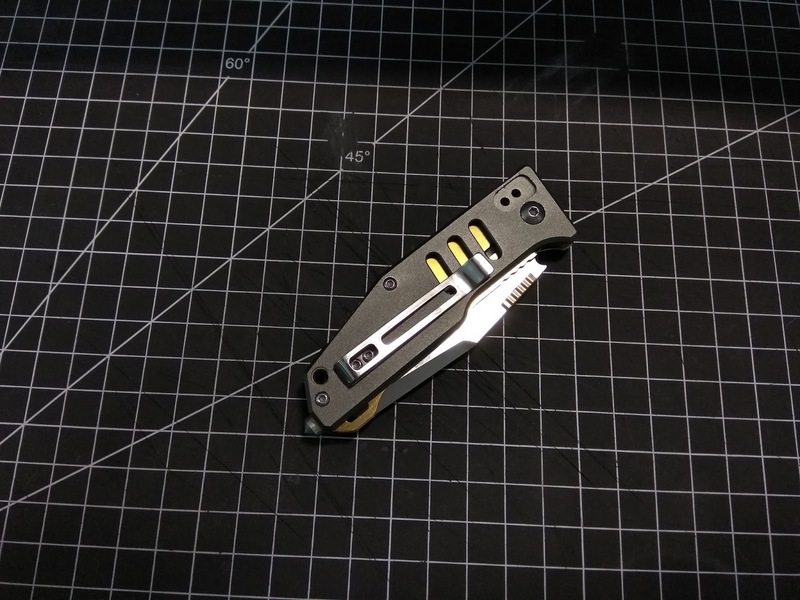 - The knife has a reversible deep carry pocket clip. but it rides too high for my taste in the tip down position. - The Sanrenmu 7046 has a chisel ground blade which is sharpened from one side only. Could be unusual to cut with and to sharpen. - The ergos are fine for my middle sized hand, but could be unfit for people with larger hands (3 finger grip only for them, could be solved with a lanyard though). 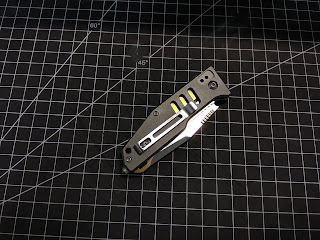 - I would love for the thumb plate to be just a bit bigger and it would be more comfortable to flick the blade out. EDIT: One of the guys, Saelyre, suggested to reverse the direction of the thumb plate to solve the problem. I did and now it works much better - have much better purchase and could even middle finger flick it. 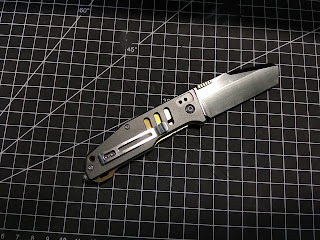 - The Sanrenmu 7046 feels a lot like a small multitool and I think that could be the best purpose for it - a small beater blade or a work knife. It could also serve as a great present, even for non knife folks, cause everyone could enjoy it's quality and extra features. The fact that it could serve as a budget Razel gives it extra cool points IMO, but also give a stronger tip and more versability. I could really see it used on a construction site. Anyway - I really like this knife and happy I got it.